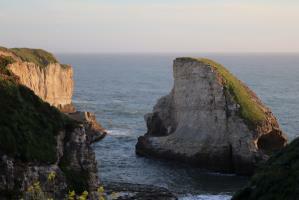 Visiting Shark Fin Cove in Davenport, California near sunset. Hiking in Black Diamond Mines Regional Preserve with a visit to the Black Diamond Mine underground. Viewing Castle Crags in Castella, California from Vista Point. Hiking to Mossbrae Falls, a waterfall located in Dunsmuir, California along the Sacramento River. 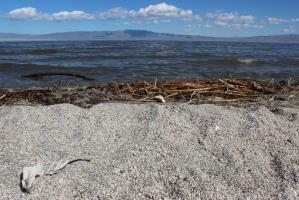 A visit to the Salton Sea, with a random visit from paramotorists. Hiking Ryan Mountain at sunset and sunrise during a snowstorm in Joshua Tree National Park. Bouldering at Skull Rock in Joshua Tree National Park. Hiking the crater rim of Amboy Crater, a cinder cone. Hiking the Rings Trail Loop in Mojave National Preserve. 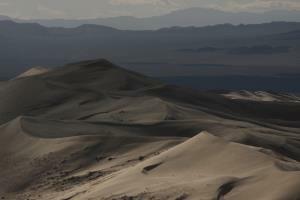 Hiking to the top of Kelso Dunes in Mojave National Preserve.